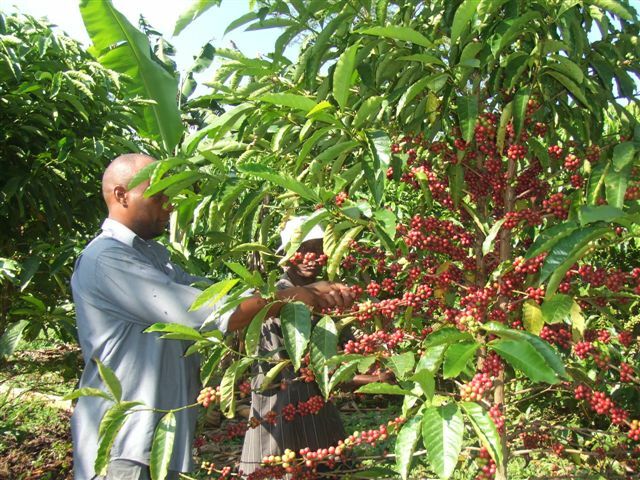 W N MUKASA ESTATES is a private company in its infancy dealing in the growth of Clonal Robusta Coffee. The company was founded in the year 2003 as a family enterprise with only 16 acres of land under family management supervision. Over the years, the estate has expanded to well over 75 acres of planted Robusta coffee. The Estate expects that by the year 2015, its total planted area should be around 400 acres and other estate projects should be able to foster the development of the district in general. The people in this part of Uganda (Luwero Triangle) are deeply mired in poverty and the success of Mukasa Coffee Estate will help in poverty eradication and also contribute to the acceleration of economic growth in the area .The management welcomes you to the estate; we have over 35000 coffee plants of different generations. Through our combined efforts and your expected expert advice, we expect to make our estate a success. Our coffee is organic, grown using methods and materials that have a low impact to the environment. We welcome coffee roasters, retailers or organisations engaged in the coffee business who would like to follow the coffee chain right from the farmers. We also welcome coffee enthusiasts interested in viewing and learning more about the coffee process.